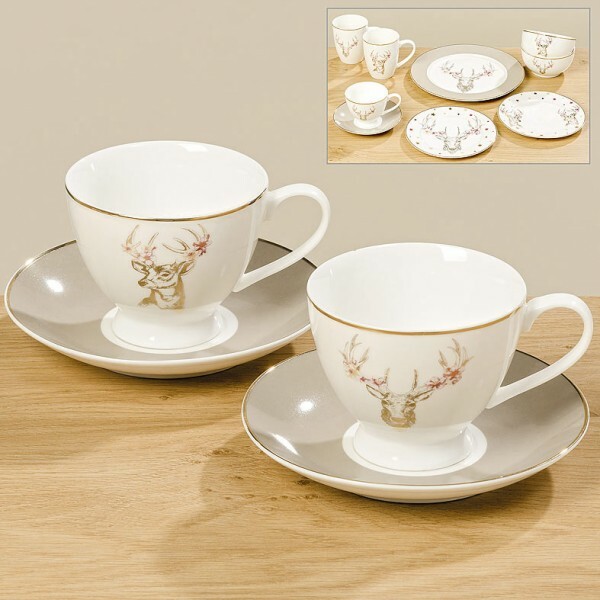 Product information "Stag Cup and Saucer"
Fine Bone China Stag Cup and Saucer. The cup and saucer detail a gold rim, the saucer itself is taupe and the cup features a Reindeer with pink flowers in its antlers. A perfect pair for a stylish cup of your favourite hot beverage. Cup holds 240ml of liquid. Related links to "Stag Cup and Saucer"
Customer feedback for "Stag Cup and Saucer"